Fill out the form below and we’ll send you complimentary samples of Clean&Safe®, Clean&Safe®Pro and SurfacePro®. 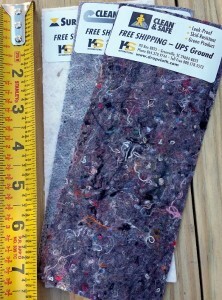 The samples are 7 ½ inches by 3 inches and will be sent via mail. Due to the large volume of requests we receive from various “freebie” website listings, sample requests coming from “freebie” sites cannot be filled. Fill out the form and we’ll send you a sample of Clean&Safe®, Clean&Safe®Pro and SurfacePro®. Samples are 7 ½ inches x 3 inches and will be sent via mail.